This was one of the best breads I’ve eaten in a long time. It was so fresh, delicate and moist. We finished it in 30 minutes flat. 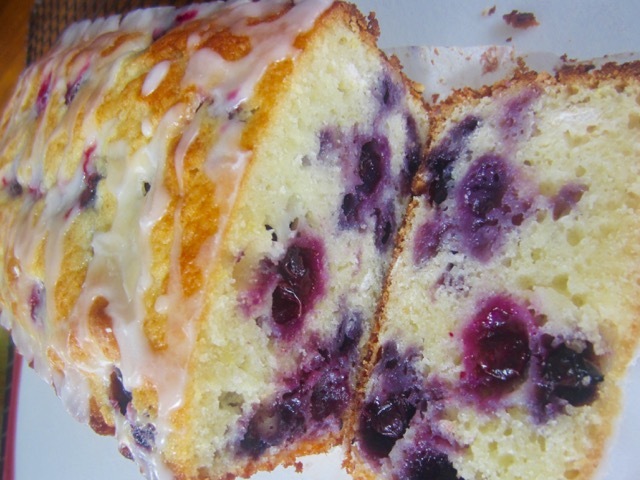 If you ever make it, please ensure you have the lemon glaze. 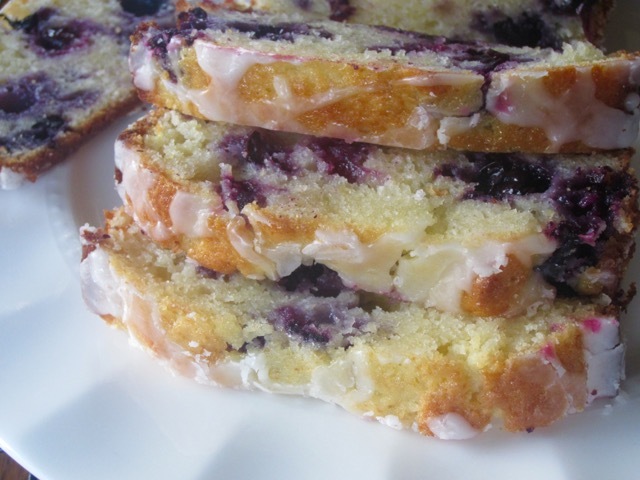 The combination of lemon and blueberries and the crunch of the icing sugar…so good! what more can I say? Thank you Julia for this wonderful creation!!!! 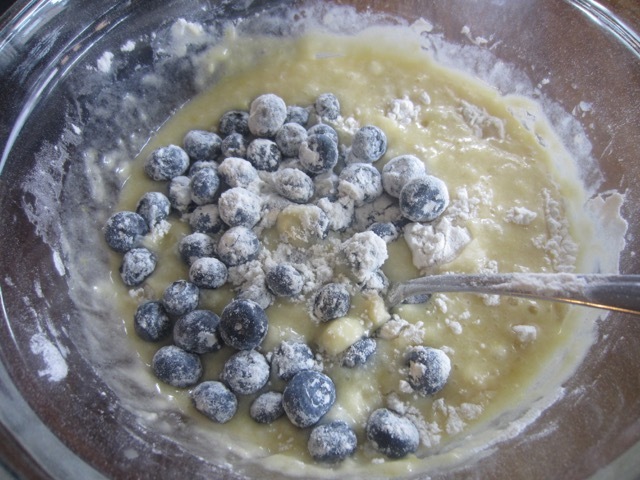 In a bowl, whisk or sift the flour, baking powder and salt. Make a well in the centre. 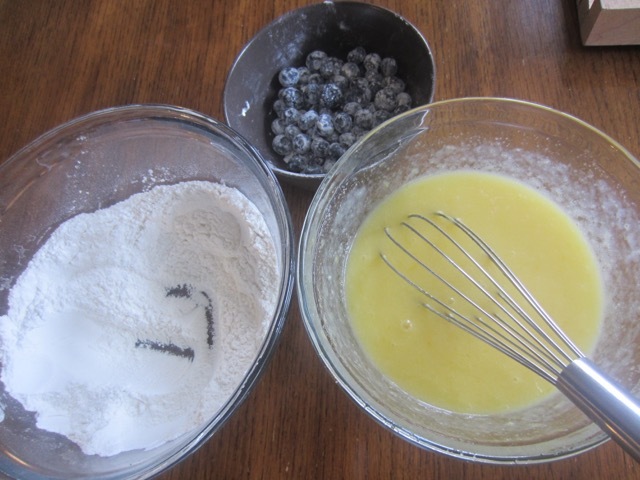 In a separate bowl, whisk together the butter, sugar, eggs, milk, lemon juice and zest. and mix until just combined. Do not over mix. 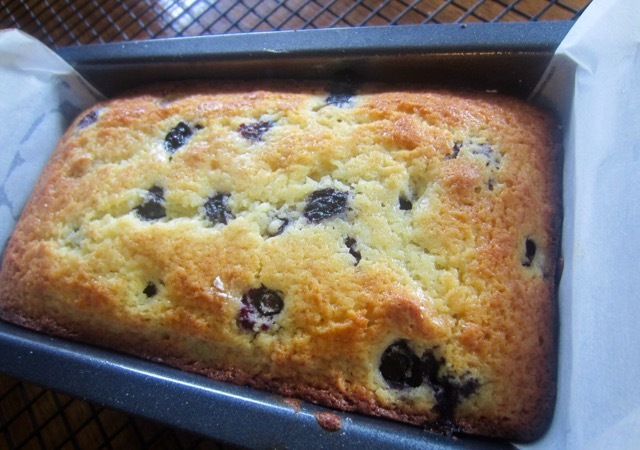 Fold in the blueberries (save a few blueberries to plop on top). and bake 50-70 minutes or until a skewer inserted in the centre come out clean. Remove the bread from the oven and set aside for ten minutes. 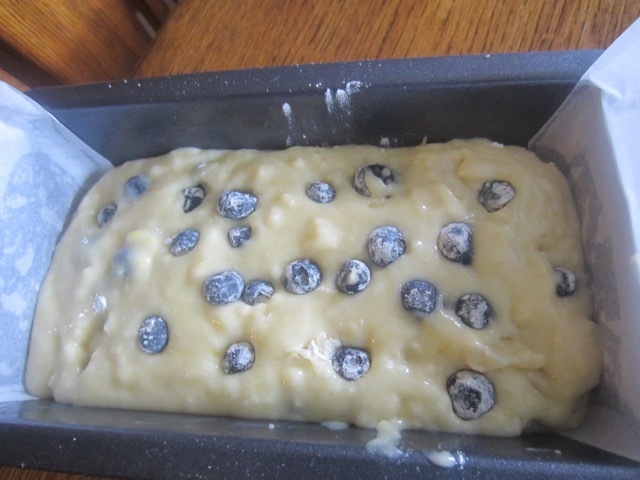 Transfer onto the cooling rack to cool slightly then drizzle the lemon glaze. Preheat the oven to 350ºF (180ºC) ten minutes before using. Grease and line the base of an 8.5 x 4.5 inch loaf pan with overhanging parchment. 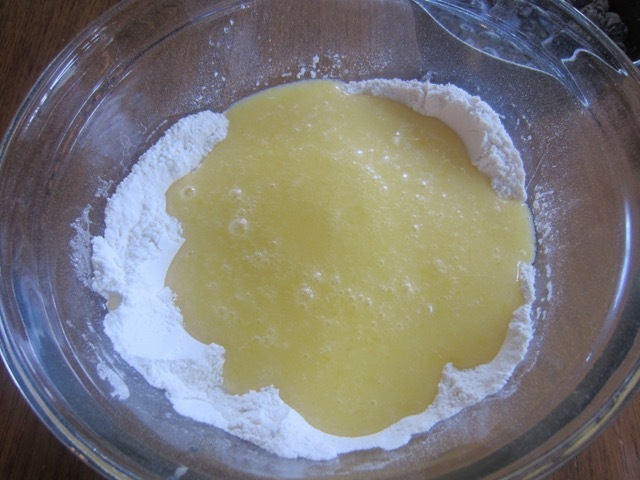 Pour the butter-egg mixture into the well and mix until just combined. Do not over mix. 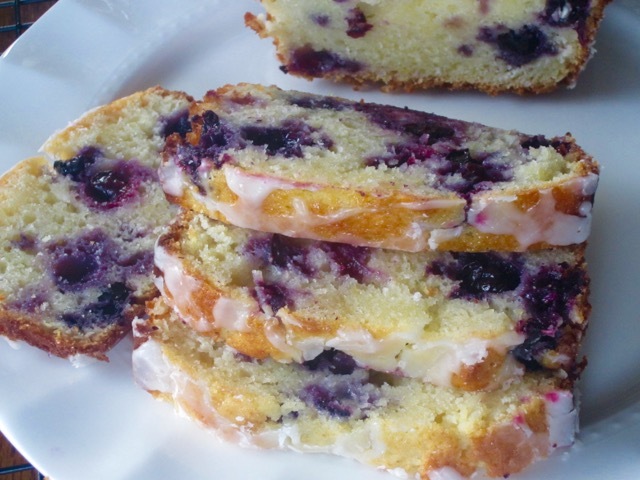 Fold in the blueberries (save a few blueberries to plop on top). 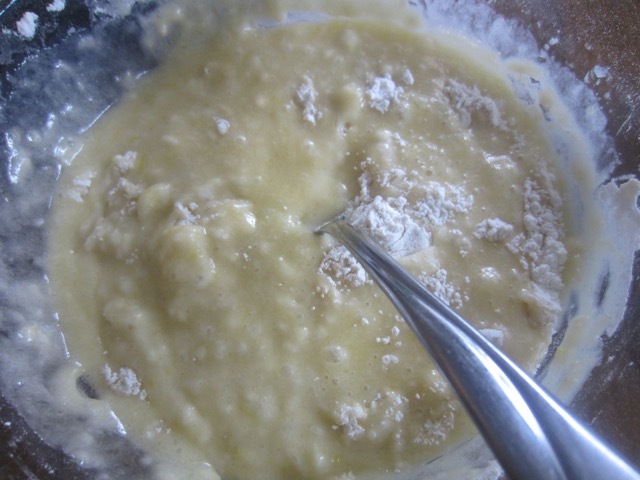 Pour batter into prepared pan and bake 50-70 minutes or until a skewer inserted in the centre come out clean. Remove the bread from the oven and set aside for ten minutes. 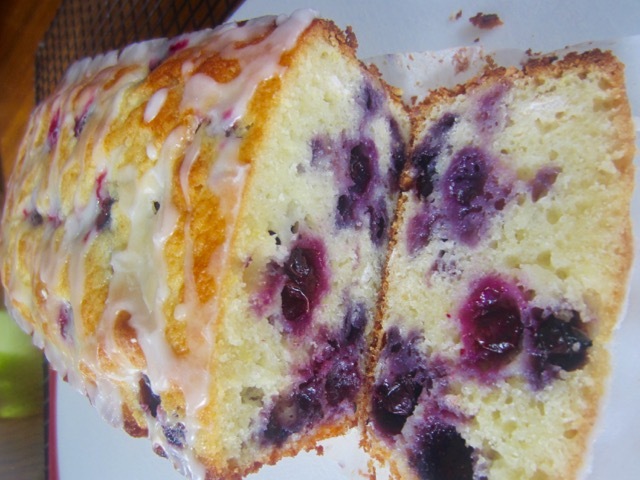 Lemon Glaze: combine lemon juice and icing sugar and beat with a wooden spoon until smooth. 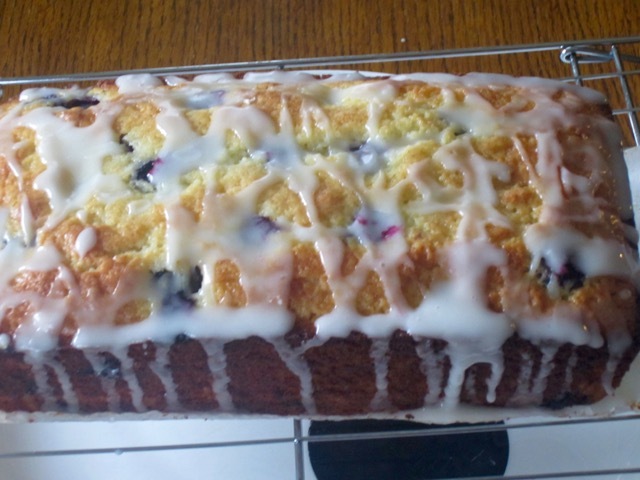 Drizzle over the warm bread. I baked the bread for 50 minutes. For cup measures: spoon the flour into the cup, heaping it up over the top, then slide a knife across the top to level off the extra. Be careful not to shake or tap the cup to settle down the flour or you will have more than you need. I use a 240ml, American cup. This cake was a winner!!! OH you can have some, of course. Did you finish the coffee? 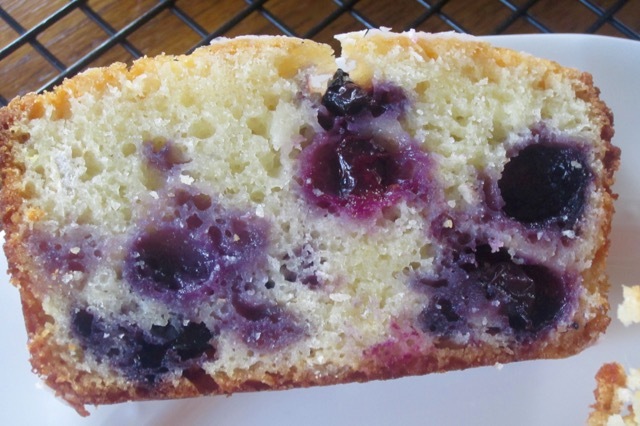 Uhh, this looks like an “I can eat the entire thing” dessert… Noted on the back burner to try this one out! I totally agree with you. I knew I could eat the entire thing myself. Fortunately, I had to share with others! Oh, Lordy! Give me strength! That looks FAB-ulous! Thank you. It was so good…it was gone in minutes. I really loved it!